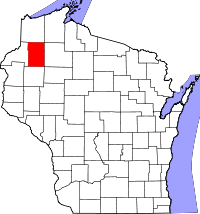 Washburn County was established in 1883, the year that marriage and death records are available; however, some marriage records exist as far back as 1839. These early vital records, although not uniformly maintained, can be located at the Wisconsin Historical Society, together with a statewide index. Vital record registration was mandated statewide in October 1907; uncertified copies are available by mail from the Register of Deeds in Shell Lake, with divorce record copies from the Clerk of Court. Requests can also be directed to the state Vital Records Office of the Department of Health in Madison, in person, by mail, or by fax (online through VitalChek) for $20.